I can’t believe I’m about to admit this but Reese is 8 years old and I’ve never taken her to see Santa (Gasp!). I know, I know…Don’t judge. 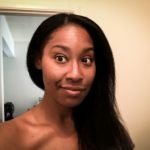 Every year I have every intention of doing it (just like I have every intention of sending out those cute Christmas cards that everyone sends), but sadly I get really busy and end up doing neither. 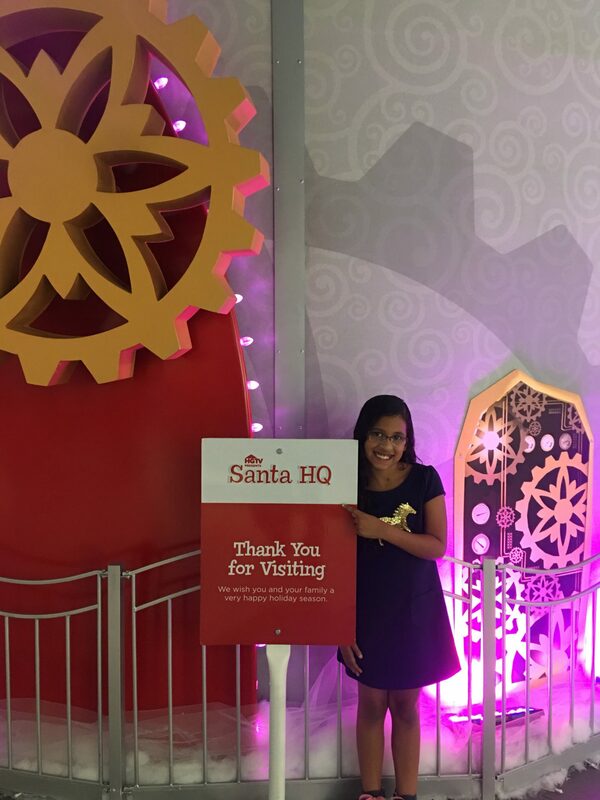 Something usually always comes up and I end up never making it, however, this year I had an awesome opportunity to partner with Santa HQ. 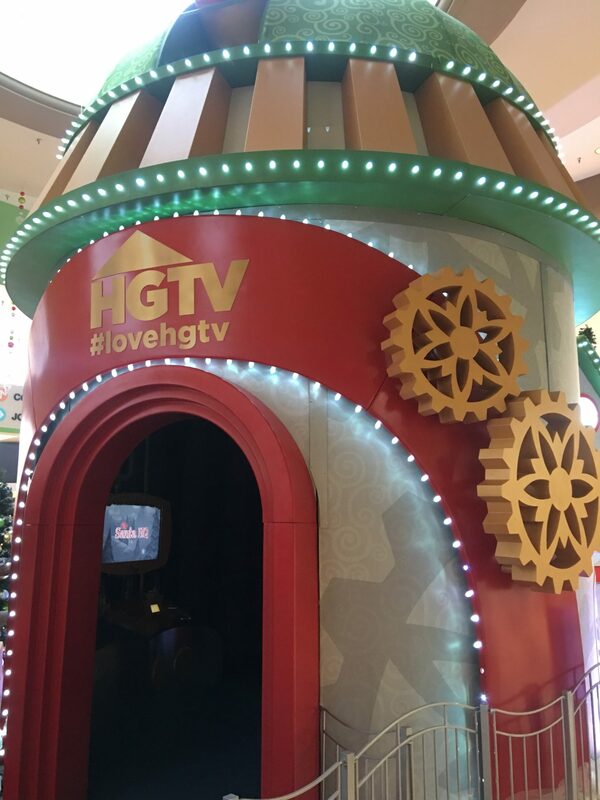 An interactive holiday pop put on by HGTV happening at select malls (15 to be exact, in select cities across California, Arizona, Chicago, Metro New York, and the Washington, D.C. corridor). I was so excited to finally experience this with Reese and since Reese is still a believer in the magic of Santa she had a blast. We decided to head over right after school which I’m happy we did since it was the least busy. We arrived and found only one other family in line so the wait time was less than 5 minutes. 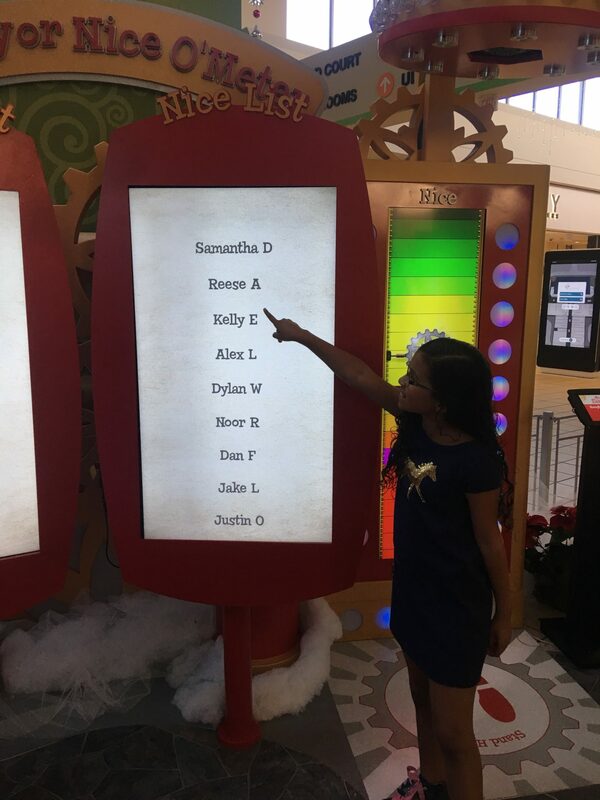 The first stop on this adventure was to check to see if Reese made the naughty or nice list. Reese stood on the naughty or nice platform and watched with excitement as the machine did the calculations. She was all smiles when it registered nice (hmmm I might need to chat with Santa about this one lol). 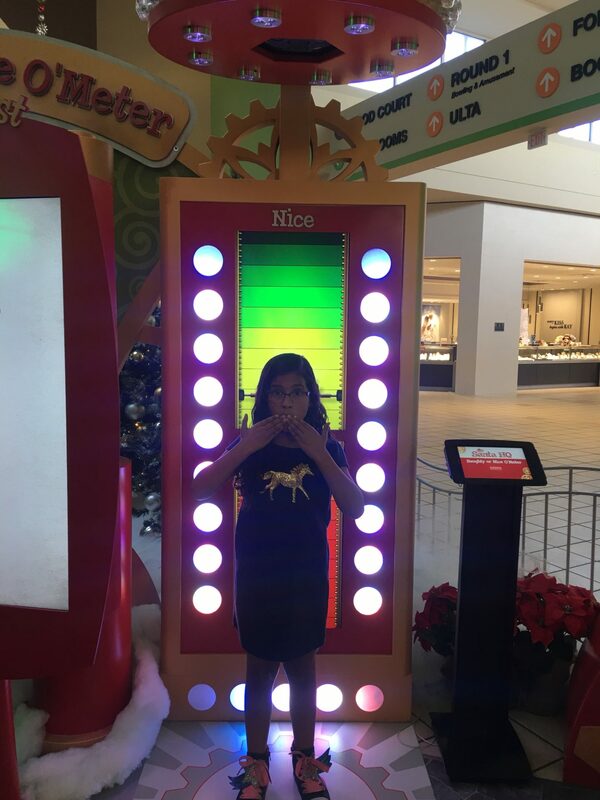 After the naughty or nice meter, Santa’s helpers handed me a selfie stick (major win in my book) because it really helped me get some great pictures. Next, we headed to Santa’s workshop where Reese got to watch a video of the elves prepping Santa’s sleigh and make her own video featuring her. They have a really cool interactive game where you can use your cell phone to scan QR comes and do a scavenger hunt in the workshop. The game also works at home if you use the QR code book they give you for free. 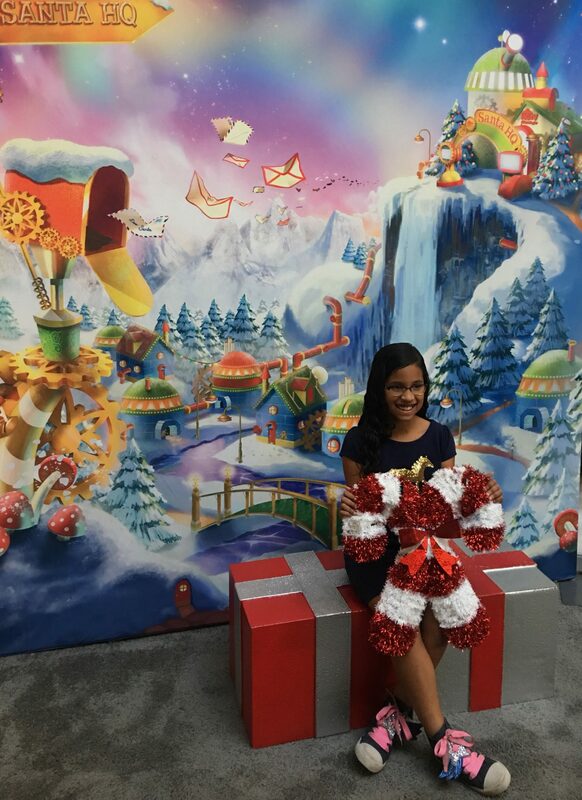 Our next stop was a solo photo opportunity against a Santa workshop backdrop. I called this the warm-up session before meeting the big guy as it gave Reese the chance to work on her smile so when the time came to meet the big guys she could jump in, smile, chat with Santa then move so the next kid could get their turn. I actually really liked this backdrop and will use this one for Holiday card photos. Omg, the smiles on this kid where amazing. Seeing this made me feel so happy that I finally got to experience this with her while she was young and still believe. Her entire face just lit up. It was a very special moment. Santa greeted Reese with a hug and they instantly got to chatting about her Christmas list which to my surprise was not all that long. 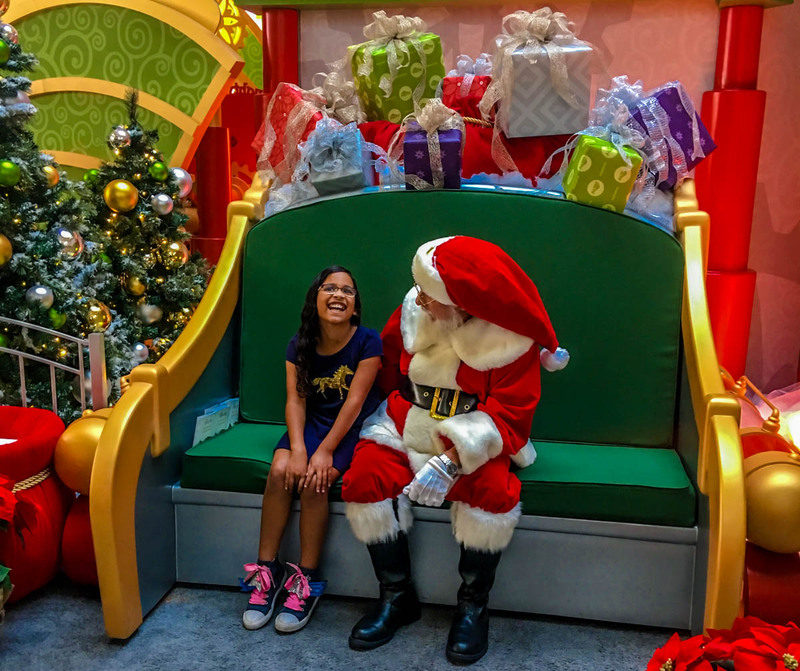 Santa thanked her for being a good girl and for making his nice list and encouraged her to keep up the work. Santa’s helpers snapped several pictures, she got another great big hug from Santa and then we were off to check out the photos. The pictures printed out pretty quickly so there was not much waiting. The picture quality was very good (I was beyond impressed with the quality considering how quick they moved). The staff truly knows how to capture the perfect moments and how to pull out the best smiles. I was beyond impress and thankful for that. 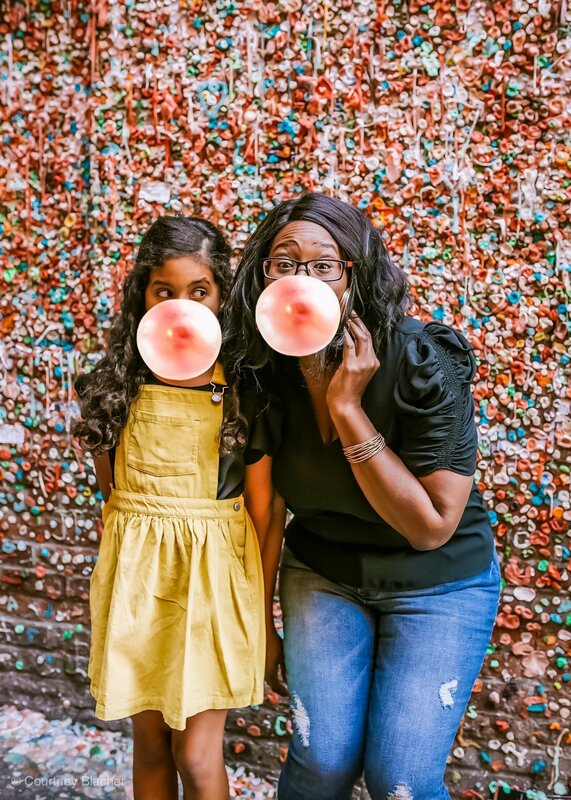 My photos and visit were hosted however the photo packages they offer are very reasonable considering the quality of the photos and the overall experience. They also include digital downloads with every package so you can do your own pricing when you get him. These are perfect for downloading and pricing for Holiday cards. Now that I have experienced this I highly recommend taking your child to visit with Santa but don’t do just any Santa experience. 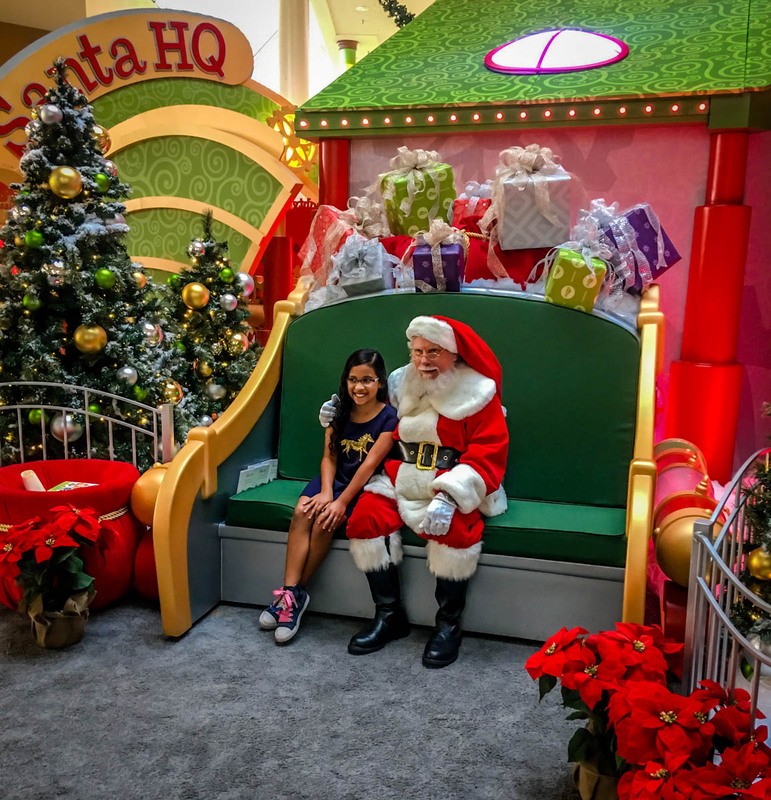 If the HGTV interactive Santa experience is in your area, that is the one to do. They make it more than just about visiting Santa and I truly feel the entire experience is what made this memorable for Reese. The entire experience took us about 30-45 minutes but Reese wanted to stop and do everything so make sure you give yourself some time. 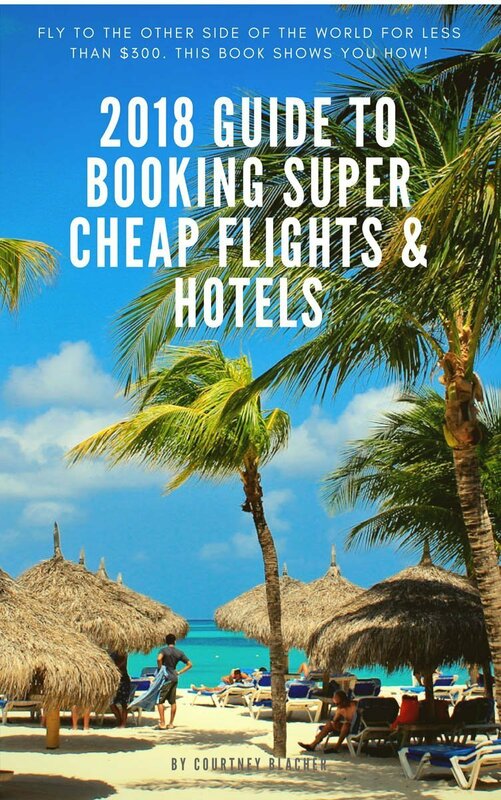 Add on more time if you plan on going during peak times (weekends and the week before Christmas). I highly recommend making a reservation.